Home Blog THE GREATEST SMILES IN HOLLYWOOD & HOW THEY GOT THEM. The rich and famous of Hollywood always appear to have perfect smiles. Everything from their lives to their pets, hair, clothes, shoes, accessories, cars and their teeth appear perfect. It’s almost reasonable to imagine that most Hollywood actors and actresses have had some work done on their teeth. How else would they get those perfect smiles with super straight and white teeth? Maybe some of them took extra care of their pearly whites as they were growing up. Maybe others had a whole lot of dental work done. 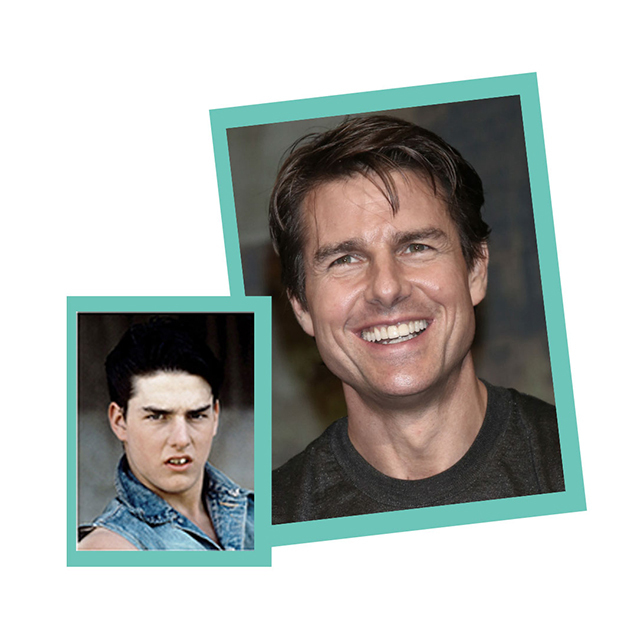 We’ve put together a list of some of Hollywood’s biggest stars and the dental work they’ve had done. Like many starting out in the industry, Tom caught attention based on his talent. Once he had established himself, he looked at ways to improve his physical appearance. It is understood that what started out as basic whitening and straightening of his teeth, eventually became an upgrade to a mouthful of veneers (custom made porcelain shells placed over teeth to improve appearance). 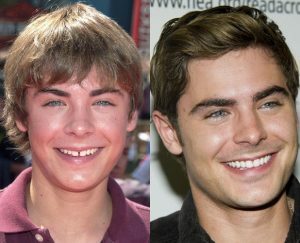 Before he shot to stardom in Disney’s High School Musical, Zac Efron’s teeth were uneven, with a noticeable gap at the front. 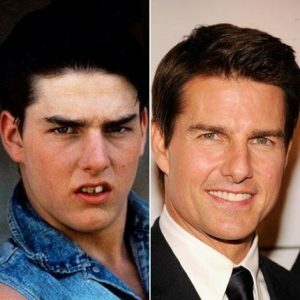 Since those early days, he has had his teeth straightened and whitened, which has seen the gap reduced to almost nothing. 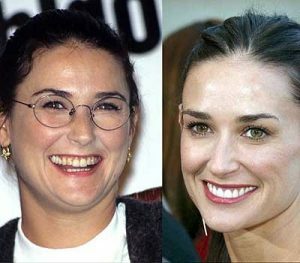 Over a decade ago, actress Demi Moore’s (Ghost, Charlie’s Angels: Full Throttle) teeth were looking a little yellowed and aged. Although she considered a number of cosmetic dentistry options, she finally settled on veneers, which provide a straight, white and natural look. When you see an actor in a movie, you often think that their appearance is a result of make-up or special effects. This is not so with Jim Carrey’s character in Dumb and Dumber, Lloyd Christmas. 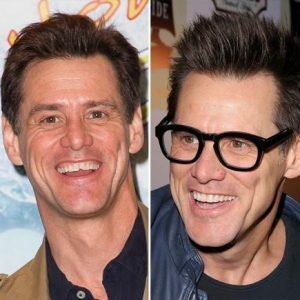 The chipped front tooth was a real chip that Carrey had suffered. The funny man had it bonded (tooth-coloured resin bonded with adhesive to the tooth) over ten years ago. He is known to remove the bonding for fans from time to time. Blessed with the voice of an angel, the Canadian born singer now has the smile of one as well. 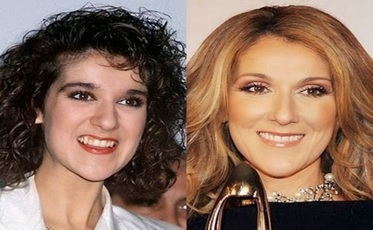 Back in the 1990’s, when her career was taking off, Celine had work done to her teeth that has seen them reduce in size, as well as becoming whiter. At Somerset Dental, we are able to help you obtain the ‘Hollywood smile’ with our Veneer and Teeth Whitening treatments. Veneers are thin, custom-made shells that are designed to cover the front of your teeth. A model of your teeth will be made and sent to a dental laboratory, where a dental technician will replicate the model for your use. In-office Bleaching is a procedure conducted in the dental office, where a protective gel or rubber shield is placed on your gums to shield them from the dental bleach that will be applied to your teeth. Home Bleaching is a method that uses whitening gel and a custom-fitted mouthguard to apply. Depending on your needs, some treatments may require twice-daily or overnight applications for two weeks. Teeth Whitening Toothpaste is another option that can be applied at home. While all toothpaste removes surface stains, ‘Teeth Whitening’ toothpastes have special chemicals and polishing agents to provide extra assistance with stain removal. It’s easy to imagine that famous actors are born with perfect smiles, but just like all of us, they too need to visit a dentist. Therefore, if you are considering getting the ‘Hollywood smile’, let the team at Somerset Dental help you achieve your goals. Contact us today to schedule your consultation, and start your journey towards a brighter smile.